At Seniors Helping Seniors® Southwest Florida Senior Care Services, we have a passion for meeting the needs of seniors in a way that provides both dignity and a sense of camaraderie. 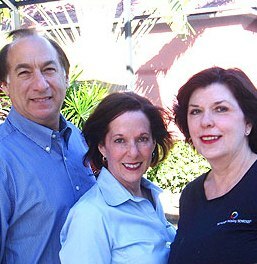 Our owner(s) Evan Zelden, Nancy Zelden, and Connie Gwin firmly believe we can do that through serving seniors in our community, which includes: Southwest Florida's Lee and Collier County communities of: Fort Myers and Cape Coral, Naples, Bonita Springs and Estero, and surrounding areas. We help seniors age more happily and gracefully. People who give, and those who receive, benefit equally. In-home care, companionship, and numerous support services from caregivers who respect and enjoy helping others. Reasonable hourly rates for seniors who need and want care and companionship. Reasonable hourly wages for Homemaker/Companions, Nurses Aides and Skilled Nurses who want to help seniors.